We are your #1 choice roofing contractor in Sacramento and provide fast, affordable, and dependable roofing and roofing repair. 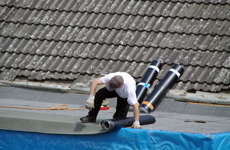 We have a proven track record in roofing repair, installation and roofing contracting. 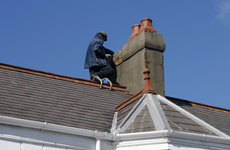 We install tile roofing, shingle roofing, metal roofing and much more. Hutch’s Roofing Sacramento uses only the best quality material from such companies as Owens Corning and Energy Star. Hutch’s Roofing Sacramento provides residential roofing and commercial roofing from flat tops to steep slopes. 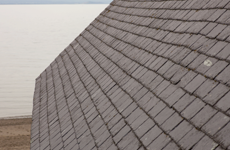 We do all types of repair from synthetic slate to torch down roofing applications. Call Now! 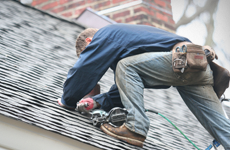 If your roof is leaking, let Hutch's Roofing repair it quickly and professionally! Serving both commercial and residential properties, enjoy convenient and affordable roofing services. From slate to rubber, the team at Hutch's Roofing are experts in all types of roofing repairs and installations. There is no job too big or too small for the fully certified and insured installers from Hutch's Roofing! Make Hutch's Roofing your first call! 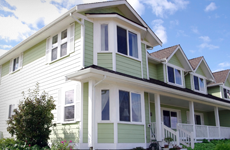 From gutter repairs to siding installation, Hutch's Roofing offers the best contracting services in the Sacramento area! Call our family owned and operated team for 24 hour emergency services in the case of an emergency with your siding or gutters. Keep your wallet happy with our affordable repair services. Only accept the best for your home. 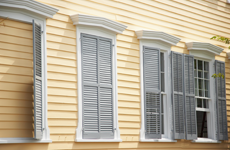 Trust Hutch's Roofing for all your siding needs! With a 100% service guarantee, Hutch's Roofing offers the best home improvement services for all of your renovation needs. With affordable prices and convenient service, our contractors offer you the best service in the Sacramento area! Work with our family owned and operated team to make your house look better than ever while increasing your family's comfort as well as the value of your investment! Since then, we’ve helped many, many people with all kinds of roofing issues – big or small. We have had countless clients thank us for our work, and we appreciate the kind words. Day by day, we strive to get better by showing the highest level of quality and professionalism. Give us a call today, and we’ll take care of you! Proudly serving Sacramento, California and the surrounding area.